Accepted for publication: 07.09.2016 r.
Designers of EBR FRP structural strengthening systems rarely provide any form of protection from excessive warming caused by sunlight, while the most popular epoxy resins may lose their mechanical properties at a temperature of about 50°C. In the first part, an article gives an overview of actual studies on the influence of glass transition temperature on the behavior of adhesives used in strengthening systems. In the second part, shows the results of temperature measurements of several types of concrete and timber samples subjected to direct exposure of the sun for summer conditions in the southern Poland. The readings showed a temperatures above 60°C, far exceeding the allowable working conditions for most strengthening systems based on epoxy resins. Aguiar Jose B., Aires Camoes, N. F. Vaz. 2008. „Effect of temperature on RC elements strengthened with CFRP”. Materials and Structures 41: 1133 – 1142. ASTM E1640-13. 2013. Standard Test Method for Assignment of the Glass Transition Temperature By Dynamic Mechanical Analysis, ASTM International, West Conshohocken, PA.
 Blontrock Hendrik, Luc Taerwe, H. Vanwalleghem. 2002. Bond testing of externally glued FRP laminates at elevated temperature. In: Proceeding of the international conference ‘‘bond in concrete- from research to standard”, Budapest, Hungary, 648 – 54. Carbas Ricardo J. C., E. A. S. Marques, Antonio M. Lopes, Lucas F. M. da Silva. 2012. Effect of cure temperature on the glass transition temperature of an epoxy adhesive. Proceedings of the 15th International Conference on Experimental Mechanics ICEM2015, University of Porto. Gamage J. C. P. H., Man–Biu Wong, Riad Al-Mahaidi. 2005. „Performance of CFRP strengthened concrete members under elevated temperatures”. Proceedings of the International Symposium on Bond Behaviour of FRP in Structures (BBFS 2005): 113 – 118. Klamer Ernst L., D. A. Hordijk, Cees S. Kleinman. 2006. „Debonding of CFRP laminates externally bonded to concrete specimens at low and high temperatures”. Proceedings of Third International Conference on FRP Composites in Civil Engineering (CICE 2006), Miami, Florida, USA, 35 – 38. Leone Marianovella, Stijn Matthys, Maria A. Aiello. 2000. „Effect of elevated service temperature on bond between FRP EBR systems and concrete”. Composites: Part B 40 (2009) p. 85–93. temperature. Journal of Materials in Civil Engineering 12 (1): 74 – 80. Michels Julien, Robert Widmann, Christoph Czaderski, Reza Allahvirdizadeh, Mosoud Motavalli. 2015. „Glass transition evaluation of commercially available epoxy resins used for civil engineering applications”. Composites Part B 77: 484 – 493. Moussa Omar,Anastasios P. Vassilopoulos, Julia D. Castro, Thomas Keller. 2013. „Long-term development of thermophysical and mechanical properties of cold-curing structural adhesives due to post-curing”. 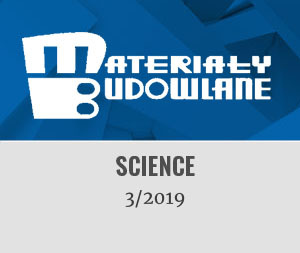 Journal of Applied Polymer Science 127 (4): 2490 – 2496. Othman Darian, Tim J. Stratford, Luc A. Bisby. 2013. A Comparison of On-Site and Elevated Temperature Cure of an FRP Strengthening Adhesive. Proceedings of the FRPRCS11. UM. Guimarães.